Most worldbuilders are hesitant to make maps. A lot of them might be willing to sketch out general layouts, but committing to a professional map is intimidating. Distant places haven't been filled in yet, and the science behind your geography can be daunting. 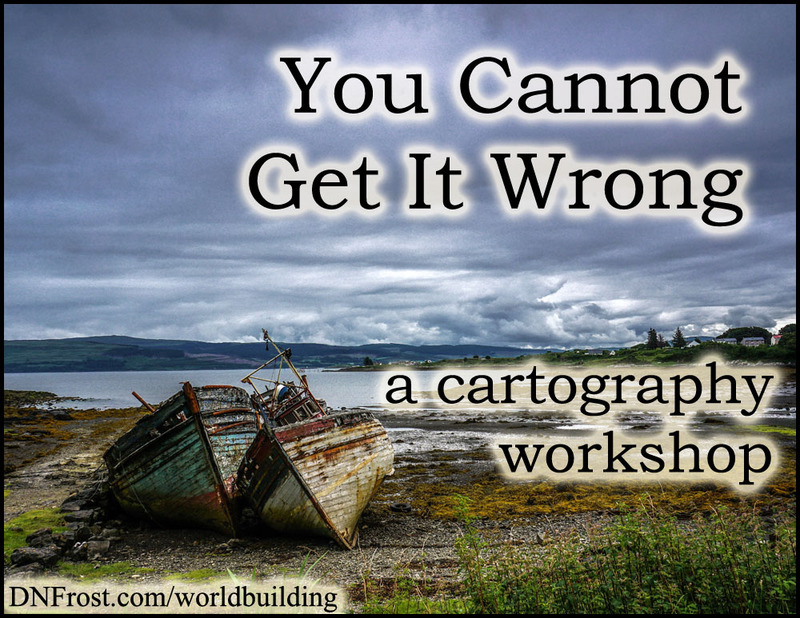 These doubts often give worldbuilders pause as they consider mapping their worlds. But really, there's no way you can get things wrong. Even publishing a map does not bind your world to the details of that map. Imagine for a moment that your map was actually drawn by someone within your invented world. The map does not have to depict reality; instead, it represents your world as it is known to the people who live there - round, flat, wide, or tall. Your imaginary cartographer and his map illustration are now subject to an array of human inconsistencies, errors, and stylistic variations. This in-world perspective also helps readers better connect with the characters who live out your story. Instead of mapping the entirety of your world, just map the world known to your characters, expanded, if desired, to include undiscovered areas traversed within the story. There's always a precedent that allows for differences between maps. If you change the spelling of a town, you can cite inconsistencies in real-world spellings of certain places. If you shift a town to the other side of a river, you can cite discrepancies in real-world maps. If you need your desert in a rainy area, you can cite futuristic weather-control, or ancient forgotten magic. In these Cartography Annals of the Known World, you can see how I created intentional discrepancies between my maps to reflect the differences between regional cultures. Between human error, technological advances, and ever-convenient magic, worldbuilders can come up with a justification for pretty much any variance between older and newer maps. As your world grows, your map should grow with it, so consider a few in-world explanations for the changes your maps will reflect.